Can I build an addition on this house in Massachusetts? It is one of the most common questions buyers ask: “will the town allow me to build an addition on this house? What about a deck?” It’s a difficult question to answer, and it’s rarely straightforward. It puts real estate agents in danger of crossing the line between real estate advice and legal advice – but it is often a critical question that will make or break a buyer’s decision to place an offer on a property. For advice on a specific property, you should do your due diligence and get the opinion of an experienced zoning attorney. However, learning some basic principles of Massachusetts zoning law is a great first step in understanding and predicting where an addition may or may not be allowed. Zoning is the legal mechanism through which local governments regulate what can and cannot be built. The basic concept of zoning is to divide all the land within a town into certain “zones.” Each zone specifically allows, prohibits and regulates specific property uses. For example, a simple residential zone usually allows single family homes and prohibits manufacturing plants. Most (but not all) single family homes are located in residential zones. However, zoning doesn’t just regulate property use – it also regulates building dimensions. A typical residential zoning regulation sets forth certain distances, called setbacks, that represent the minimum distance buildings must be set back from the property line. Therefore, the first thing you should research is whether there is room on the property to build an addition that conforms to the applicable setbacks in your zoning district. If so, you have a strong likelihood of being able to build your addition. However, additional dimensional zoning regulations such as maximum lot coverage, floor area ratios, and height limitations may also impose restrictions. And don’t forget to check if the property is affected by wetlands or flood plains. If the setbacks leave no room for an addition, you’re not necessarily out of luck. You may apply for a variance from the zoning regulations. Massachusetts courts impose a very high standard for upholding variances, but local boards commonly deviate from that standard in uncontested applications. For example, if no neighbors oppose (or appeal a board’s decision to grant) your variance, then it may be approved even if it falls short of the court’s standards. Therefore, it is best practice to gain the support of your neighbors prior to applying for a variance. Another common situation involves buildings or lots that are “grandfathered.” A grandfathered building or lot (a.k.a. “pre-existing, non-conforming”) was legally created at one time, but does not conform to newer regulations imposed after its creation. Extending a grandfathered structure often requires a finding by the local building inspector that the proposed addition does not increase the structure’s nonconforming nature. If the building inspector makes the opposite determination, the next step typically requires an application for a special permit from the local board of appeals, and a public hearing. While special permits have a lower burden than variances, it is still often critical to have the support of neighbors. 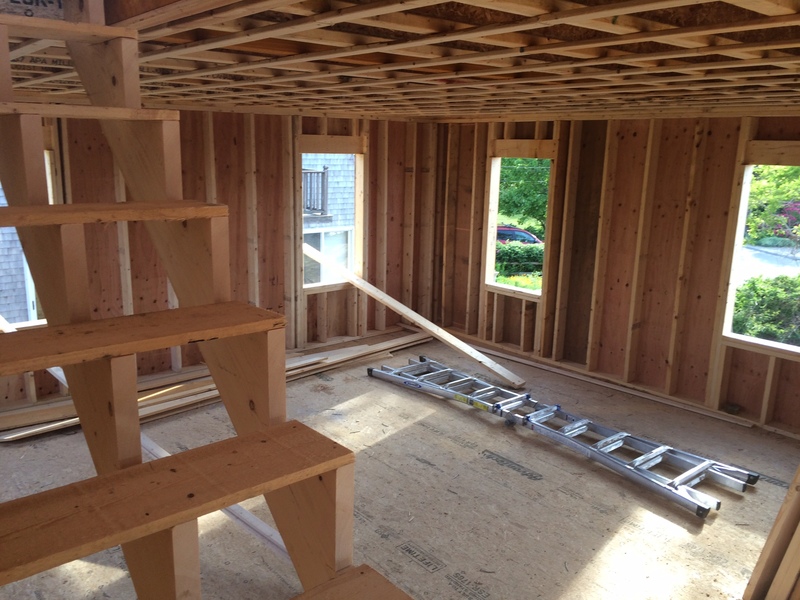 These are only some basic concepts that will affect your ability to build an addition on a Massachusetts home. You should always engage the help of an experienced real estate professional to guide you through the process – whether it means building the addition of your dreams or avoiding an investment in a property that will crush them.